Durability (5/5): Wow, just wow! I’ve used this sleeping bag on backpacking trips every year since it was purchased in 2002 and had forgotten how old it was. It’s been to Switzerland, Iceland, Joshua Tree and many other places around the world and around the country. It looses a feather here and there, but has never developed any holes or tears in it, and it still has plenty of loft even after a decade of use. Weight (5/5): No matter how light a sleeping bag is, it’s hard not to wish that it was even lighter, but at 1lb 12 oz, the Hydrogen is still one of the lightest 30F sleeping bags around. Warmth (4/5): If the temperatures drop below 40 degrees I end up being cold in this sleeping bag. 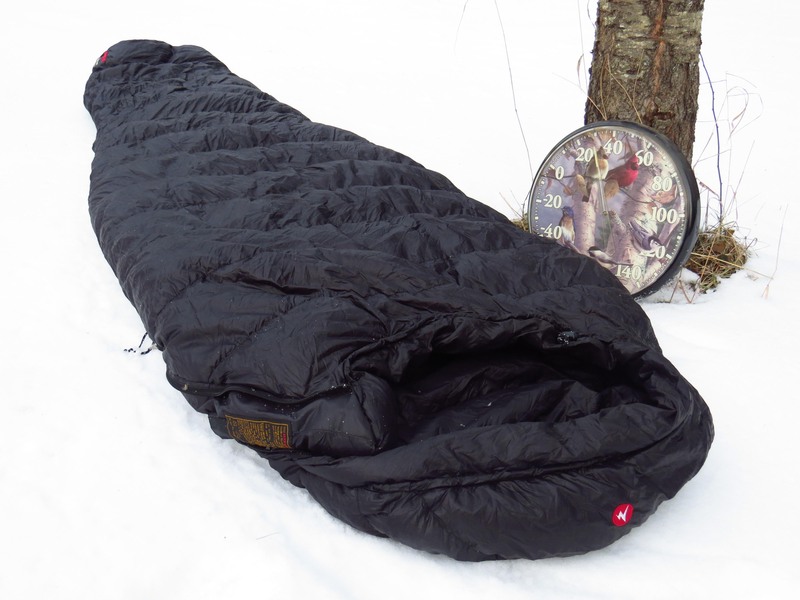 When I purchased the sleeping bag, I thought that a 30F bag would mean I could sleep comfortably in it at temperatures above 30 degrees, but nowadays when buying a sleeping bag you should check the EN 13537 test ratings if they are available, especially if you are a woman or a cold sleeper. The EN ratings are European standards that provide up to four different temperature ratings: an upper limit, a comfort limit, a lower limit, and an extreme rating. The highest temperature that won’t cause a typical man to sweat profusely in the bag is considered the upper limit, the temperature that a typical woman will be comfortable in the bag is the comfort limit, the temperature that a standard man will be comfortable in the bag is the lower limit, and the lowest temperature that the bag will keep a standard woman from becoming hypothermic is the extreme rating. For the Marmot Hydrogen the EN comfort rating is 40F, the EN lower limit is 30F, and the EN rating is 2F. I always just figured that I was a cold sleeper but the EN rating for women is spot on for me (my dad has the same sleeping bag from the same year and says that he sleeps comfortably in his bag down to 31F). Bulk (5/5): It compresses down to a very small volume, between 200 and 300 cc depending on which ultralight compression stuff sack I was using. Spaciousness (5/5): One of the things that I love about the Marmot sleeping bags is they give you extra space (typically larger shoulder and hip circumferences). Even though I don’t have a large frame, I find that that extra space allows me to sleep comfortable on my side and allows me to toss and turn in it without strangling myself. The older model Hydrogen sleeping bags (like mine) have half zippers and the newer ones have full zippers. I didn’t have any trouble with the half zipper. 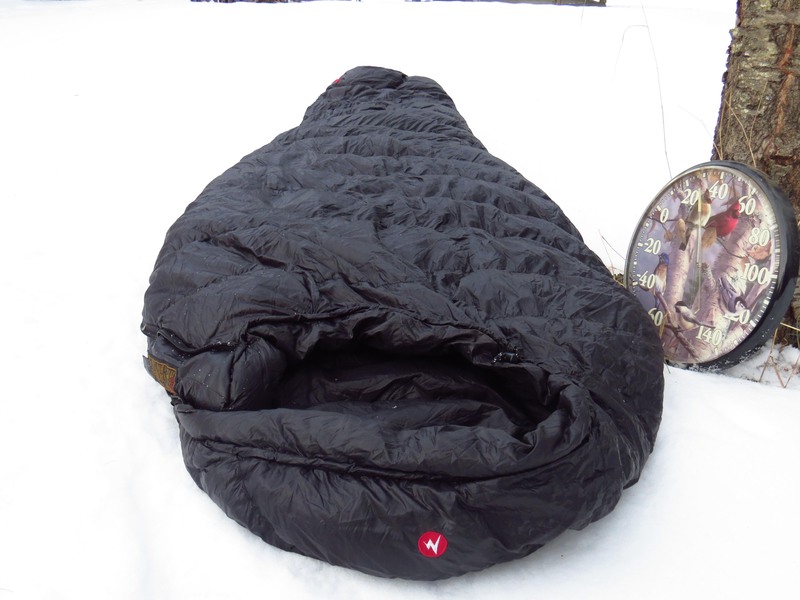 Overall I was very happy with my Marmot Hydrogen sleeping bag and slept comfortably in it through temperatures between 40 and 70 degrees. 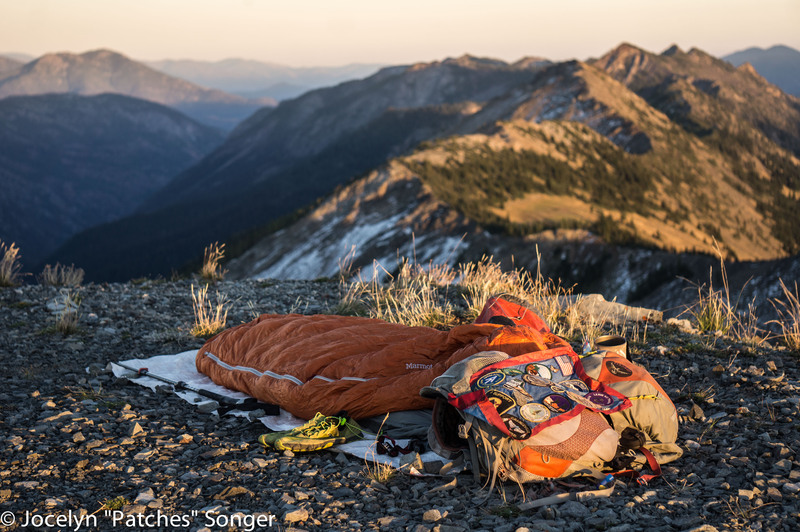 At higher temperatures I used my sleeping bag liner as a bottom sheet and the sleeping bag as a quilt, or I just used my sleeping bag liner alone. I briefly used the Sea to Summit Coolmax Liner (11.6 oz) because I already owned it, but I quickly traded it in for the 6’6 Western Mountaineering Whisper Liner (4 oz), which was much lighter. The Whisper Liner was soft, comfortable, and light and I carried it from Damascus, VA to Mount Katahdin in Maine. On nights that were colder than 40 degrees I wore my hat as well and my insulated jacket and insulated pants (I also always used a sleeping pad). Though I enjoyed my Marmot Hydrogen, it wasn’t warm enough for me as I headed into New Hampshire and Maine and the chillier months of September and October so I purchased a 2013 Marmot Lithium 0 degree bag for the last leg of my trip (to be reviewed in an upcoming post), which I managed to get a really good deal on.